An unbelievably versatile Solid Lotion Bar & Balm Base is the newest addition to our Creams & Lotions selection of Personal Care Bases. We pack our Solid Lotion Bar full of natural moisturizers like Shea Butter, White Cocoa Butter, Almond Oil, and Argan Oil to help you create a multitude of luxuriously moisturizing products for your customers! Use our versatile Lotion Base make luxuriously rich and moisturizing Body Products. Our Lotion Bar & Balm Base is solid at room temperature but melts on contact with the skin, leaving a thin film of moisturizing lotion on the surface. 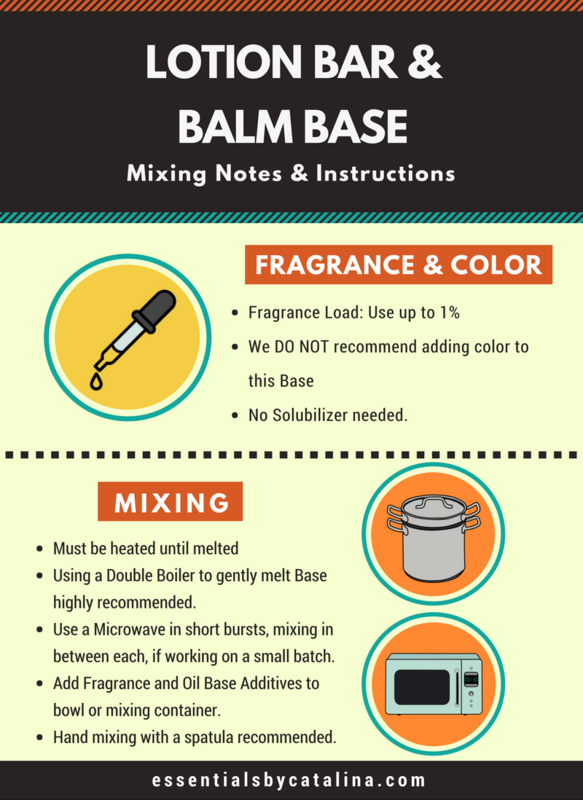 The base is incredibly versatile, allowing you to create a multitude of different products by adding your favorite fragrances, colors, and extracts. Pour it into jars, molds, or wrap them, the possibilities are endless! Our all natural Solid Lotion Bar & Balm Base is amazing for your skin; its formulation was maximized to protect and moisturize your skin no matter what your final product may be. We designed this base to be easily modified by adding fragrance, botanicals, & extracts or additional oils or butters. Doing so allows you to fully customize the base to create dozens of variations of products, including: Lotion Bars, Hand/Foot Balm, Massage Bars, Face Protector, Deodorants and more! Our Solid Lotion Bar & Balm Base will become an essential part of your product line from the very first pail you order! We Put The Good Stuff In! Each one of these ingredients was carefully chosen to provide excellent healing & moisturizing capabilities without sacrificing the versatility or workability of our Solid Lotion Bar & Balm Base. We use only premium butters and oils to create a moisturizer that will both heal and protect even the most sensitive and hard working skin. We start with generous portions of Beeswax, Mango, Cocoa and Shea Butters. 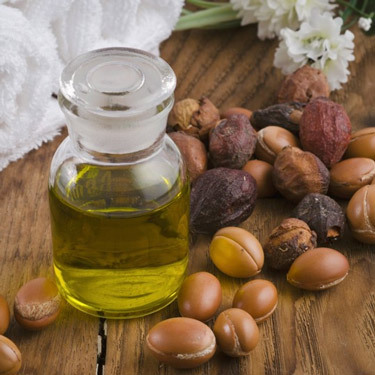 To these we add a blend of Sweet Almond, Avocado, Macadamia and Argan Oils. 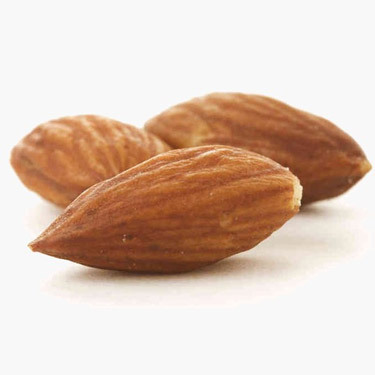 These ingredients are high in Vitamins A, B1, B2, C, D, E, F, and also in a number of amino acids, sterols, pantothenic acid, lecithin and essential fatty acids. These ingredients are known for their ability to reduce the appearance of fine lines and wrinkles while also improving your skin's overall vitality by helping improve elasticity and lock in moisture. One of the great things about our Solid Lotion Bar & Balm Base is that you can customize it as you wish. Here are a few ideas. We would love to hear yours as well! 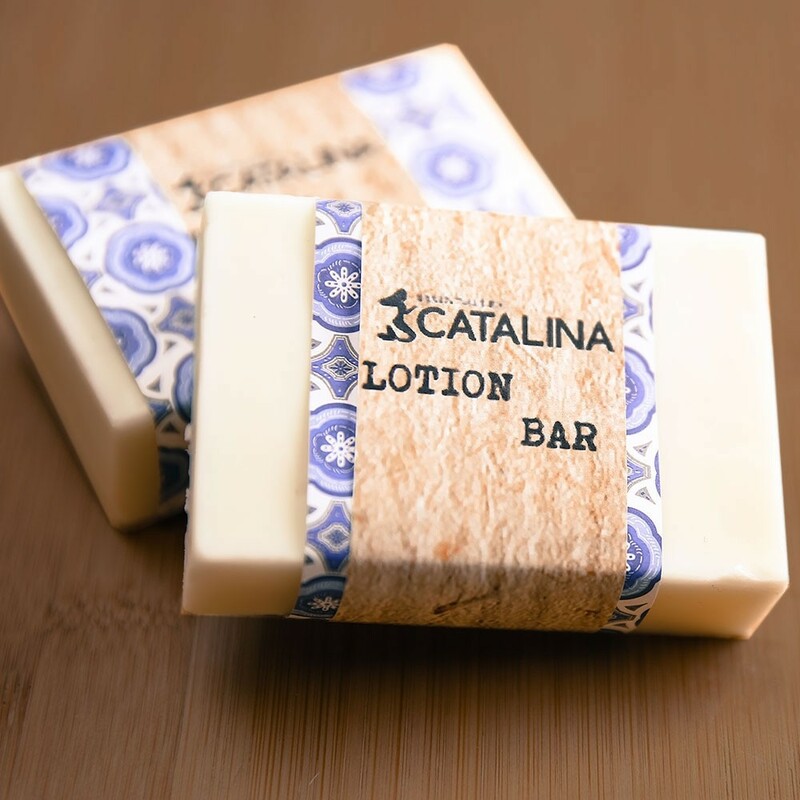 Our Lotion Bar & Balm Base is solid at room temperature but melts on contact with the skin, leaving a thin film of moisturizing lotion on the surface. The base is incredibly versatile, allowing you to create a multitude of different products by adding your favorite fragrances, colors, and extracts. The possibilities are endless! My whole family is in love with this lotion bar base! 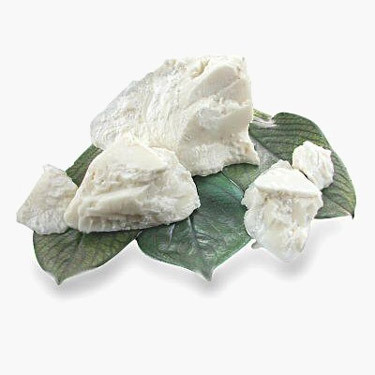 (So many great ingredients) I have been trying to formulate my own for awhile with no success, nothing felt right or had the firmness I was looking for in a lotion bar. This base is perfect! Easy to work with feels great absorbs quickly very moisturizing, and I know customers are going to love it this winter! I am so happy to have found a quality supplier just 45 minutes away from my house. 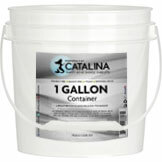 I have other suppliers all over the USA, but none of their products come close to yours! Your Tres Leches and Macadamia and Kukui Nut soap bases are wonderful. Your shower gel is the best ever and your fragrance oils are really pure and true to scent type, no harsh chemical smells or nasty discoloring like a lot of them out there. You have a customer for life! Thank you! Cocoa Butter is a vegetable fat extracted from cocoa beans. It's a popular skin loving ingredient known for its moisturizing properties. 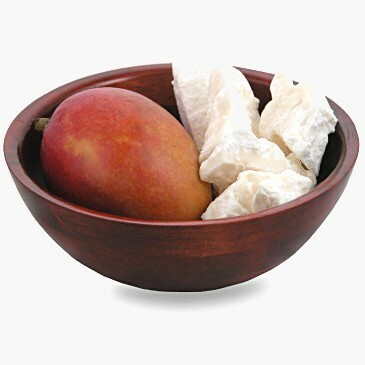 It is mostly known as Mango Butter, it is derived from the seed of the mango. 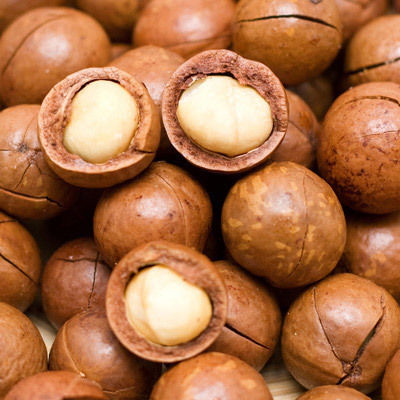 It contains fatty acids that act as a skin conditioning agent. 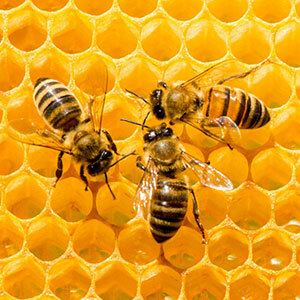 Use as a moisturizer, thickener, or base beeswax is a diverse ingredient. 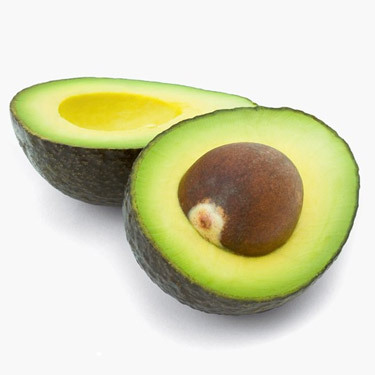 Avocado Oil is extracted from the fruit and has amazing benefits for the skin.The oil is extremely rich in Oleic Acid. 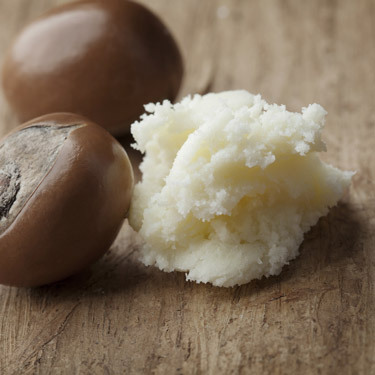 A wonderful moisturising and regenerating fatty acid, that is naturally found in human sebum (oil). 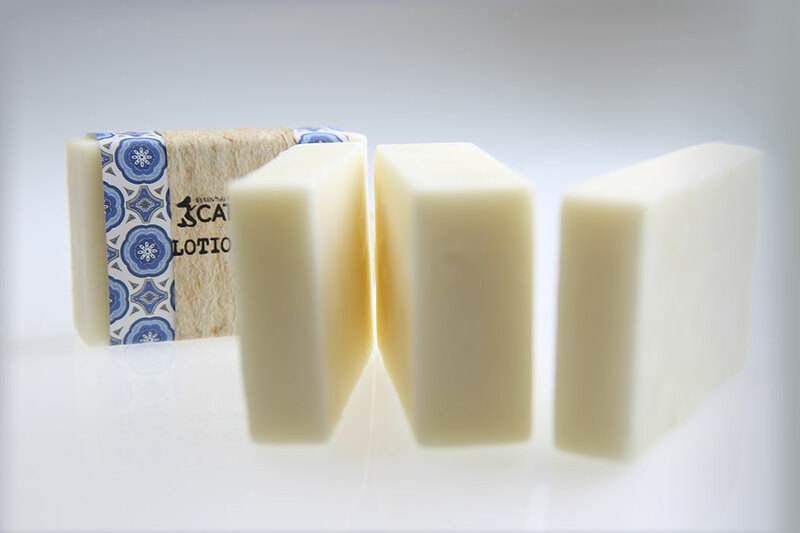 Our Lotion Bar & Balm Base is solid at room temperature but melts on contact with the skin. This also means that you must first melt your Lotion Bar Base before adding Fragrance or Color. Small amounts can be carefully heated in a microwave in 30sec intervals, stirring in between to avoid hotspots. Larger quantities are best melted using a double boiler over low heat. It will take longer, but will yield more consistent results for you. Even, slow melting and cooling ensures that your Lotion Bar Base remains silky smooth after you pour it into your jars or molds. With so many amazing ingredients, it isn't hard to come up with some equally amazing uses. These bars work beautifully on dry, itchy skin but a small amount can also tame flyaway hair, soothe dry, cracked lips, chapped hands and torn cuticles. Slather a bit onto dry, cracked heals before bed and cover with warm socks for soothing relief by morning. Lotion bars make an especially wonderful gift for expectant mothers. They do wonders for relieving itchy tummies and locking in moisture to make stretch marks less likely. They are perfect for use on new babies and small children who are especially sensitive to artificial chemical ingredients. Whatever your skin concerns, Lotion bars are a great all natural alternative to traditional lotions and creams. These bars pack a punch and leave your skin feeling amazing. The great thing about our Lotion Bar Base is that you can customize it in so many ways. Here are a few ideas and we would love to hear about yours as well! Here are some variations our customers have experimented with, try some for yourself! Add your favorite Essential Oil for scent. 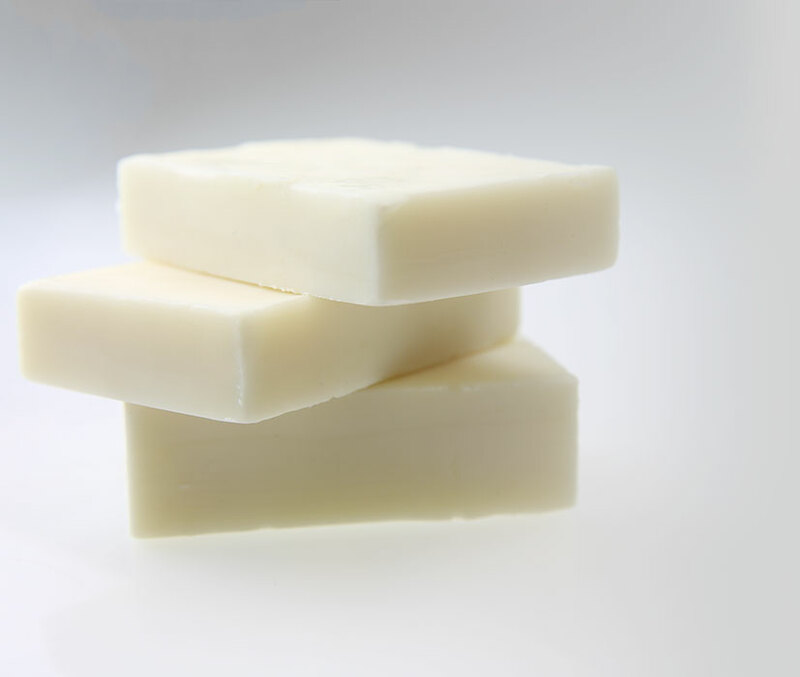 Lavender, Ylang Ylang, and Eucalyptus are popular for Aromatherapy products like Massage Bars. Add Peppermint Essential Oil and Powdered Ginger for use on sore muscles after working out. Add organic Arrowroot Powder and a bit of Baking Soda to make a natural deodorant bar that puts most regular deodorants to shame. Leave out the baking soda if you have sensitive skin. You can also use shelf-stable probiotics for extra odor protection. Infuse the oils with Citronella Essential Oil to make a Bug-repellent bar that works great without chemicals.